12. 02. 2017 13:50 18 (5 - Neuville Thierry / Gilsoul Nicolas): I tried. Again, it's a shame and I'm really disappointed for the team. I was leading again, with a huge advantage then a small mistake cost us the win again. 12. 02. 2017 13:45 17 (5 - Neuville Thierry / Gilsoul Nicolas): We have only one goal today: five points on the Power Stage. I think our tyres should be good enough to go for a big push. I hope to get a minimum of two points. 12. 02. 2017 13:35 16 (5 - Neuville Thierry / Gilsoul Nicolas): There is only one objective for us today which is to get points on the Power Stage. I'm driving to save my tyres. 11. 02. 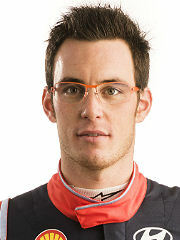 2017 15:53 14 (5 - Neuville Thierry / Gilsoul Nicolas): That's a surprise to be honest. I didn't push. I drove well but I was disturbed by a strange smell in the car - the screen heater I think. 11. 02. 2017 14:50 13 (5 - Neuville Thierry / Gilsoul Nicolas): The stage went well. The car was moving a bit at the rear with the extra weight of the second tyre but the grip is huge. I will be fine. 11. 02. 2017 10:49 11 (5 - Neuville Thierry / Gilsoul Nicolas): With our lead we took it a bit more steady. This is the first time I didnlt really jump over Colin's Crest, but we didn't want to take any risks. I'm controlling. 11. 02. 2017 10:33 10 (5 - Neuville Thierry / Gilsoul Nicolas): A good stage but I keep it on a clean line all the time. I tried to be very efficient. 11. 02. 2017 10:22 9 (5 - Neuville Thierry / Gilsoul Nicolas): I was too careful but it's a tricky stage - the average speed must be high. Many corners are flat but I was lifting. It's a new stage and I can afford to take it easy here. 10. 02. 2017 17:44 8 (5 - Neuville Thierry / Gilsoul Nicolas): This one was very tricky in the dark and because my door kept opening - which was quite disturbing. My tyres are still good but I took it steady until the end. 10. 02. 2017 16:22 7 (5 - Neuville Thierry / Gilsoul Nicolas): A really good stage to be honest, but the grip was completely gone - it felt like I had no studs. 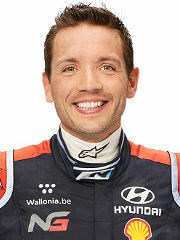 Jari-Matti had the advantage earlier but I tried to benefit from the cleaner line this afternoon. The car is going well, better and better. 10. 02. 2017 14:56 6 (5 - Neuville Thierry / Gilsoul Nicolas): Its good. I tried to drive so efficiently here to stay in the line. Push harder and you get out of the grip. 10. 02. 2017 13:47 5 (5 - Neuville Thierry / Gilsoul Nicolas): The road is changing a bit. This morning the guys ahead had an advantage. Now maybe we do. 10. 02. 2017 10:52 4 (5 - Neuville Thierry / Gilsoul Nicolas): A lot of deep cuts in here. I hit something very hard on the front right and afterwards I took it easy. Ok, I lost a bit of time, but the conditions are getting worse I think. 10. 02. 2017 09:38 3 (5 - Neuville Thierry / Gilsoul Nicolas): The feeling at the rear is a bit better but my pace notes were a bit too fast in places here - I lost confidence and slowed a little near the end. Compared to the old cars these are so are much faster. 10. 02. 2017 08:27 2 (5 - Neuville Thierry / Gilsoul Nicolas): It was ok but the car is jumping around a bit I'm not too happy with the suspension at the rear. I tried to be smooth but I could be better. 09. 02. 2017 20:50 1 (5 - Neuville Thierry / Gilsoul Nicolas): I used my shakedown tyres here, which are not so good anymore, but they were okay for this stage. But I was not so happy with the car's balance. I planned to do better than this.